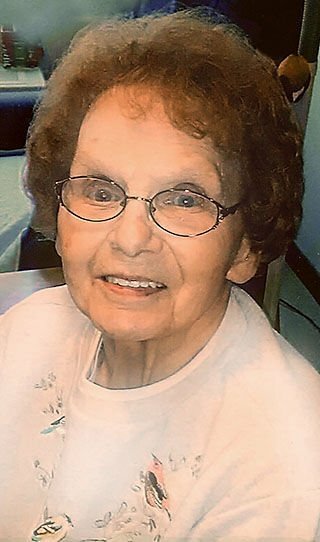 Patricia E. “Patti” Knowlton-Gehrking, 92, of Eau Claire, passed away on February 1, 2019 in Eau Claire, WI, under the care of St. Croix Hospice. Patti was born in Cadott, WI, on June 5th, 1926 to George and Anna (Steinmetz) Paulus and grew up on the family farm with her 9 siblings, beloved farm animals and pet turkey, Oscar. Patti married Walter Knowlton on February 11, 1943 and had 8 children together. Patti and Walter were involved in a car accident in 1965, which resulted in Walter’s death. She then married Norman Gehrking. They later divorced after many years together. She leaves behind 21 adored grandchildren; 44 great-grandchildren; and 3 (plus 2 on the way) great-great-grandchildren. Patti was preceded in death by her husband, Walter; daughter, Katie; son, David; granddaughter, Shannon; her parents; and 9 siblings. “We all love you and will miss you forever”. A funeral service will be held at 3:00 PM on Saturday, April 20, 2019, at Lenmark-Gomsrud-Linn Funeral Home, 814 1st Ave, Eau Claire, with Father James Kurzynski officiating. Visitation will be from 1:00 PM until the time of the service at the funeral home. Burial will be in Lutheran Church Cemetery, Eau Claire.